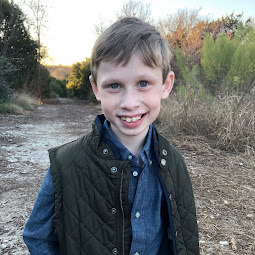 Bennett Brinson Gamel: Fighting Cystic Fibrosis: "I want to kill the way things are." Of the things I had to consider and think about regarding Bennett's recent hospitalization, one of the things that came into sharp focus for me on Friday was Oliver's role as the brother of the sick child. Seriously. What a difficult place to be in. Your family life resolves around the sick kid, which can feel unfair. But then, if you start to verbalize your feeling like it's unfair, others can fault your behavior as being selfish and unsympathetic to the sick child. I imagine, for a well kid, these situations could feel like a lose-lose situation. You don't really want to be sick...but there is also something pretty disappointing about being the one who is well. 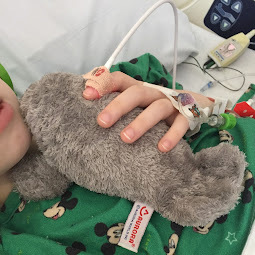 During this last hospitalization, I tried to balance Oliver's need for normalcy and his need to be informed. The first day, I sent him to school and hoped he would have no real understanding of what was going on with his brother or his mom and dad that day. But on the second day, after a visit to see his brother, it was clear that sending him to school would have not been the best choice. It might have felt to him like we were sending him away. We decided to let him come up to the hospital all day and be with us as a family. I knew something was "going on" with Oliver when he came up to visit Bennett at the hospital on Thursday. His behavior just seemed "off." But it wasn't until Friday afternoon, when I found him curled up underneath the hospital room sink, that I realized what was going on. He was angry. Not over the toy I was telling him he couldn't have, but over being here, in the hospital...over his momma not being able to come home to tuck him into bed the night before...over having to be well when it's the sick child who gets all the privileges. Realizing he needed to talk, I offered him my hand and told him I wanted to show him a new place in the hospital he had never been to. I asked Brian to watch Bennett for a short while so I could go spend time with Oliver. I took Oliver out to Scott and White's healing garden area. It's basically an outdoor area for patients and their families. I let Oliver play around, looking at the fountain and playing with the wind chimes. I knew he would love the experience. But on our way, I began talking to him, his hand in mine. I said, "Oliver, I know you're really upset right now that you can't play in the hospital play room because Bennett has CF or play in the hallway with the Plasma Cars because Bennett doesn't feel up to it yet. I know you're disappointed that we are about to be discharged and go home so you don't get to do anymore fun things at the hospital for a while. This must feel very frustrating to you, to be the well child. " Oliver sort of laughed. I could tell that I was verbalizing feelings he felt but could not articulate. I said, "On the one hand, it's good to be the well child. You aren't sick, so you feel really good and enjoy playing with your toys. Bennett, being the sick child, doesn't feel good right now so he doesn't even want to play with his toys. It's very good to be the well child. You don't have to get shots or have blood drawn. You can come or leave the hospital whenever you want. But, Bennett, being the sick child, has to have an IV in his hand and can't leave the hospital until the doctors tell him he can go home. There are some real benefits to being the well child...like your getting to come downstairs with me to investigate this new healing garden while Bennett must stay up in his bed. But, there are also some real disadvantages of being the well child..."
I could tell Oliver was *really* listening to this part. I said, "If you're the well kid, then you're always just visiting the hospital. So, these toys and activities are never really for you. You can play with them when you come up with your brother, but ultimately, they are not for you. The people here are nice and will talk to you if you ask them a question. But they are not here to talk to you. That must feel very frustrating. " I wasn't sure if Oliver wanted me to continue so I allowed myself to get distracted. Oliver noticed this and said, "Mom, can you tell me more about being the well kid?" I was glad to hear him indicate what I was saying really mattered to him. I went on to describe differences between he and Bennett regarding the benefits and disadvantages of being the sick or well child. I really wanted to help him see I did understand how frustrating it must be to be in his situation. Our conversation seemed to carry on later between he and Brian. On the way home from the hospital, Oliver rode with Brian and Bennett rode with me. When we met at home for dinner, I learned that Brian and Oliver had had a really good conversation. Apparently Oliver was very angry in the car that he didn't get to ride the Plasma cars in the hallway like the nurse had told him he and Bennett could do. Oliver was very disappointed we had been discharged too soon for them to do it. Brian explained at the dinner table, "Oliver and I had a good conversation on the way home about how life is not fair. We talked about how Bennett having CF is not fair. I explained how sometimes Daddy gets angry that life is not fair and wishes I could change things." Oliver piped up, "Yeah. I don't like it. I want to kill the way things are." 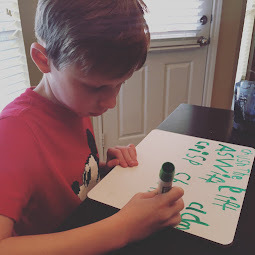 I was taken back by how articulate Oliver was, for a 5 year old, in expressing his desire to end what was going on in his world over the last few days. This was the first time I had ever heard Oliver express he was upset about Bennett's CF and how his CF affected him. I asked Oliver what he could do when he was disappointed that life iss unfair. I offered for Brian to tell what he does. Brian said, "sometimes, when I am angry that life isn't fair, I tell God." Oliver took a bite of his sandwich and said, "so, what does He say (as though God simply answers back)?" These are the moments when I'm glad I'm married to a theologian. Without missing a beat, Brian said, "well, sometimes God says that he knows. But he doesn't do anything about it. Sometimes, God says he knows but he thinks it's good for us." Brian went on to describe how we can feel like it's unfair when it hurts to get a shot - but how the shot is actually good for us, even if it feels unfair. I explained that when I feel life is unfair, I sometimes cry. And in that moment, I felt the tears well up. I clearly was feeling a sense of injustice too. I explained that when we feel life is unfair, we can tell a friend, who can tell us they are sorry for us. I expressed how hugs from a friend can be like hugs from God. Oliver really liked our conversation. He didn't say much more and within a few minutes, dinner was over and the boys were distractedly playing tornadoes and superheros in the living room. But this conversation has lingered for me. It was interesting to see my 5 year old struggle with such a difficult life lesson over the last few days. It wasn't just his learning that life isn't fair...but also that Bennett's CF isn't fair....and neither is his being well, while brother is sick, fair. The reality is, I have my own unfairness I am struggling with deeper within myself. It's unfair to see my child suffer. It's unfair to have him undergo such invasive procedures only to have him face a lifetime of continued physical deterioration. 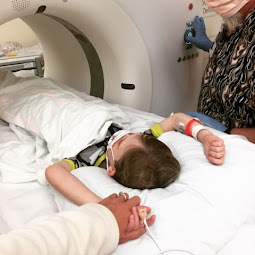 It's unfair to see my other son experience scary moments of believing his little brother is going to die. To be honest, I'd like "to kill the way things are" too...it's just that I'm a bit better at hiding my feelings than my five year old. This is a really great post. My kids haven't actually said anything about not liking CF yet but I could tell when we were in the hospital they had a hard time with it. I think you guys did a great job of helping him articulate his feelings. I'll have to remember this! Wow, thank you so much for sharing this post! I was in tears thinking about such a little guy articulating and identifying with such grown-up emotions. Thanks for writing this post, I know it will truly bless others! Dana, I am touched that you were in tears. Thank you for caring. Your words blessed me today. You guys are great parents! I love how you were able to figured out what was going on with Oliver and help him express his feelings. What Dana said. This post brought tears to my eyes. It just doesn't seem fair, does it? Pick a part of it that doesn't seem fair...for anyone involved. And yet God brings blessings from things like this. Big blessings! You and Brian are absolutely amazing parents and your boys are so very lucky to have you guiding them and training them! You did a fantastic job of putting all of that into words. Love you!